**DISCONTINUED: Use UFD3**The FLO-CORP UltraFlo™ UFDD Clamp-On Ultrasonic Flow Meter’s patented technology measures just about any liquid or fluid, from potable water to 30% thickened sludge and fly ash slurries. The UltraFlo™ UFDD Clamp-On Ultrasonic Flow Meter is the ideal flow meter with accurate, easy-to-use, easy-to-install digital doppler technology. 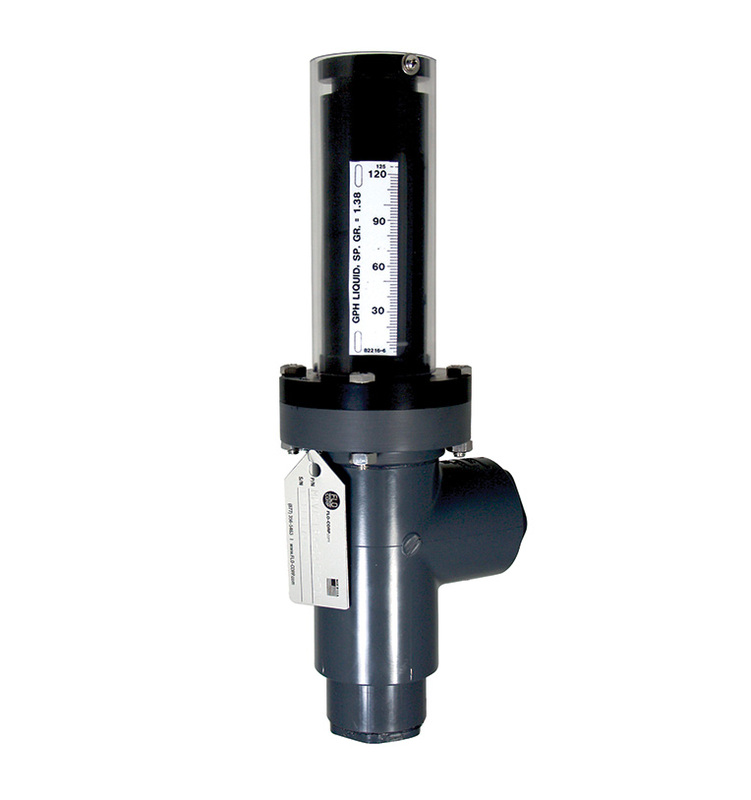 The UltraFlo™ UFDD is offered in a portable flow meter design or permanent mount installation. Both are extremely rugged, reliable and durable. 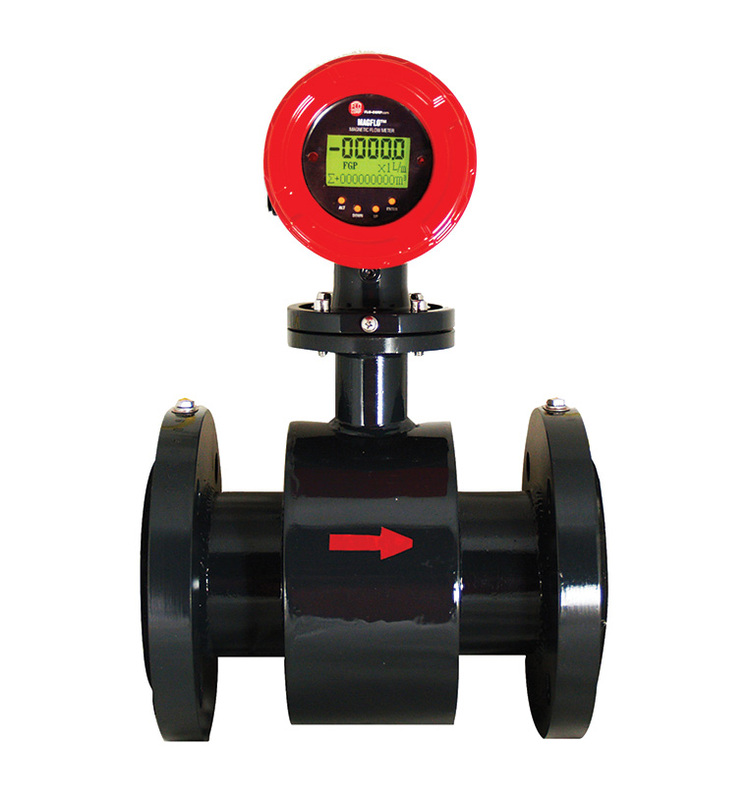 The flow meters are housed in a NEMA 4X fully sealed enclosure to withstand the most severe conditions. The patented Digital Doppler technology will measure just about any liquid or fluid from potable water to 30% thickened sludge and fly ash slurries. 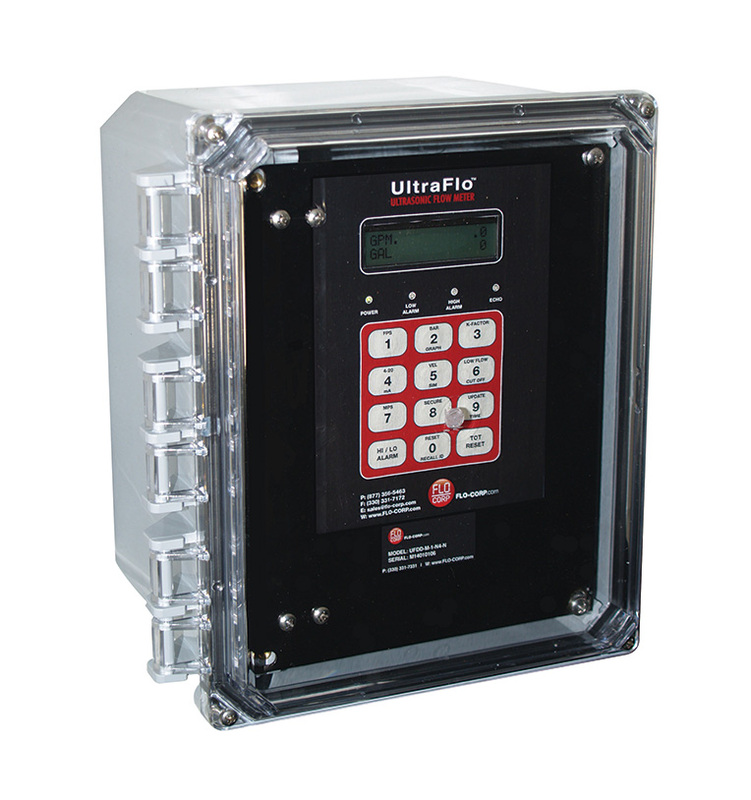 The easy to read LCD alpha-numeric display, versatile AC & DC power operation, digital communications, batch control and data log events are all packaged in an affordable industrial design. Because the UltraFlo™ UFDD sensors are clamped onto the outside of the pipe, the installation costs are a fraction of installed costs of traditional in-line flow meters. 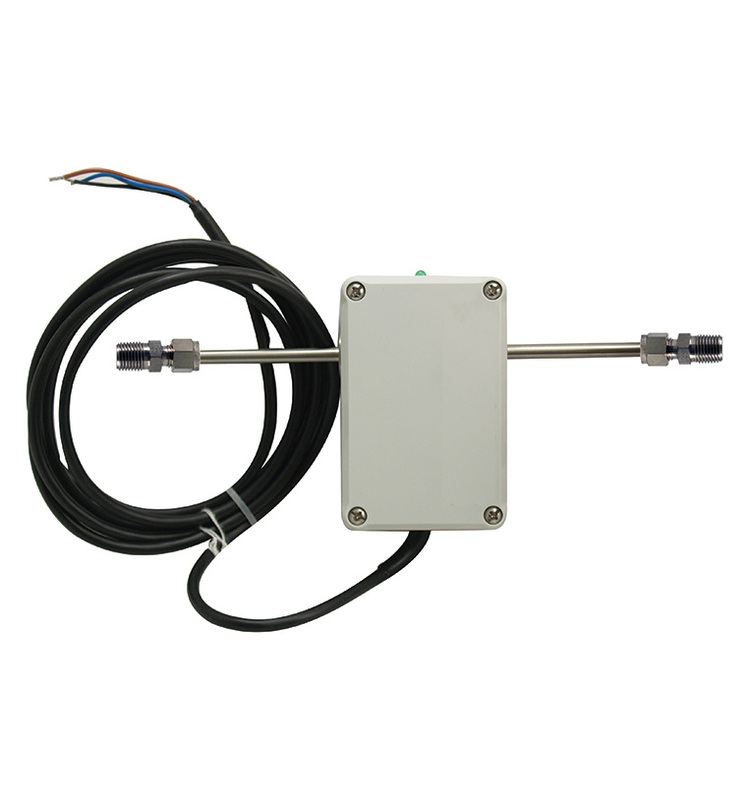 Plus, the sensors and electronics are immune to the process conditions regardless of process pressures, temperatures and build-up or scaling conditions. The Digital Doppler transducers will mount to just about any size pipe regardless of pipe wall thickness.